Every time you search on JustisOne you take advantage of an interconnected network of 108 million relationships between rich data such as party names, key terms and categories, phrases, practice areas, dates and courts. These relationships make searching more comprehensive and precise, and provide you with insights not possible using traditional databases. This interconnected network is the Justis Legal Graph. What does the Justis Legal Graph contain? 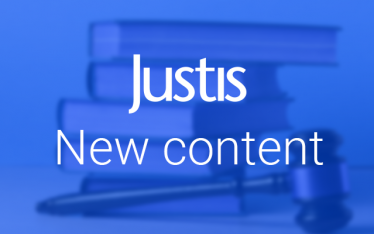 The Justis Legal Graph connects 1.3 million cases, 700,000 legislative provisions, 500,000 EU documents, 1,400 courts, 400 jurisdictions, 300,000 terms & key phrases, 1,000 reported series, 7,000 Eurovoc categories, and relationships. There are over 108 million relationships between them. Justis initially developed the Justis Legal Graph to support the Precedent Map, shown below, and we have since expanded it to support all metadata that we have to make searching easier, more comprehensive, and to enable you to draw insights from legal information which are not available from any other provider. Robin Chesterman, Head of Product, Justis. What is a Graph and why is it important for legal information? Databases are something that many of us are familiar with, even if we don’t know the detail of how they work. Most commonly, these are ‘relational databases’, which work by accessing the data in a number of tables which enable us to link together important information in new ways. However, the complexities in the inter-connected nature of legal information mean that a lot of relationships go unexplored with traditional database structures. In order to provide you with greater insights into the vast collection of legal material on JustisOne, Justis have moved towards a ‘graph database’. A graph database works by identifying each item (such as a case, a section of an Act, a court, and so on) as a ‘node’, with every relationship between them being linked by an ‘edge’. This kind of structure is highly optimised and suitable for legal information, as it can be used to identify every relationship between nodes identified in documents. To experience the benefits of a legal research platform designed to take advantage of the 108 million relationships between the documents that make up the largest collection of common law cases available online, fill out this form for a personalised free trial of JustisOne today.